across the country, also comes with an ATM facility. Post office savings account can be opened by paying a minimum of Rs. 20. 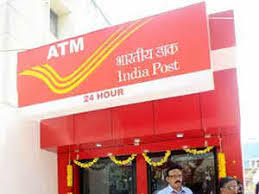 India Post pays interest at the rate of 4 per cent per annum on deposit in its savings account, according to India Post's website - indiapost.gov.in. 1. India Post permits cash withdrawals up to Rs. 25,000 per day through its ATM card. A cash withdrawal limit of Rs. 10,000 per transaction is applicable, according to India Post's website. 4. In metros as well as non-metro cities, the prescribed limits are inclusive of financial and non-financial transactions. 5. At other banks' ATMs, any transaction beyond the prescribed number of free transactions will be chargeable at Rs. 20 plus applicable GST (Goods and Services Tax), according to India Post.